I have never aspired to see every species of bird in the world. The amount of time and money needed to track down every last white-eye, babbler, and rail is staggering, not to mention the fact that some species are so rare or elusive as to be virtually impossible to find. But I do hope to see every family of birds, and that goal eventually brought me, as it has so many other bird watchers, to the little town of Deniliquin in New South Wales, Australia. Deniliquin is the home of Philip Maher—one of only a handful of people who knows where to find the Plains-wanderer. A small, ground-dwelling bird, the Plains-wanderer has puzzled ornithologists for well over a century. Taxonomists have placed it next to the buttonquails in theGalliformes, among the diverse waterbirds in the Gruiformes, and, most recently, in its own family of one—the Pedionomidae—within the shorebird orderCharadriiformes. Restricted to arid grasslands in southeastern Australia, it has always been considered rare and elusive. Unlike most species of birds, Plains-wanderer males are smaller and drabber than females and do most of the incubating of the eggs and rearing of the chicks. Philip Maher’s involvement with the Plains-wanderer began 30 years ago, in August 1980, when he and some friends were driving across a sheep paddock en route to a neighboring property. Two little birds scurried out of the way of their vehicle and paused in the grass. Maher took a closer look and recognized them as Plainswanderers, then virtually unknown in the wild. Subsequent unsuccessful searches for Plains-wanderers by day led him to guess that these shy birds might be easier to find at night, when they are resting. And, indeed, when he started spotlighting the grasslands at night, he regularly found them. As word of Maher’s success in finding Plains-wanderers spread, bird watchers from around the world began trekking to Deniliquin. He now estimates he has guided more than 6,000 bird watchers in pursuit of this species. My own pilgrimage to Deniliquin took place this past February. Philip met me in the morning, and we spent the day watching birds in the woodlands, farmlands, and wetlands around Deniliquin. As the sun began to set, we drove to the middle of a large pasture, where we were joined by John and Robert, two of the landowners on whose property we were bird watching. Off in the distance, towering thunderheads and flashes of lightning suggested an approaching storm. Philip, John, and Robert were delighted. Deniliquin has been locked in a drought for the past decade, much to the dismay of the region’s farmers and ranchers. In addition, Philip believes the drought has caused steep declines in populations of many birds around Deniliquin. Once it was dark, we split into three trucks and headed off in different directions. Each vehicle moved slowly through the pasture. With headlights and spotlights, we scanned the ground in search of birds. The bright beams of light sweeping across the fl at grassland, in combination with distant flashes of lightning, made for an oddly sinister scene—something from a Coen brothers movie. To my untrained eyes, the habitat seemed ordinary and unexceptional, a run-of-the-mill pasture with low grass and scattered patches of bare ground. I had difficulty believing it could be the home of such a rare and unusual bird. After about 30 minutes of searching, Philip stopped the truck and quietly said, “Look over there.” In the spotlight stood a pair of Plains-wanderers. They were surprisingly small birds—barely larger than Semipalmated Plovers—and oddly shaped, too, with small rounded heads, long necks, plump bodies, and long legs. They did not seem particularly bothered by us or the spotlight, which Philip took care not to shine directly on them. Soon, the female began bobbing her head up and down while staring intently at the male. She then crouched down and ran toward him, calling softly. After a few minutes, we lost sight of them in the ankle-high grass. Because the birds proved to be so approachable at night, Philip, the landowners, and Australian ecologist Graham Harrington decided to try to band them. Over the course of a dozen years, they managed to capture and band about 1,000 Plainswanderers in the grasslands around Deniliquin. According to Philip, the recapture rate was quite low: 10 percent within a year of banding, and only 2 percent after that. Yet of the birds they did recapture, virtually all were found within a half-kilometer of where they had been banded. Their results suggest to me either a high mortality of birds, coupled with strong site fidelity, or an odd mix of short- and long-range dispersal behavior within the population. Due to these and other studies, ornithologists now have a fairly precise understanding of the habitat requirements of the Plains-wanderer. The birds prefer areas containing a mixture of roughly 50 percent bare ground and 50 percent grass, with the grass occurring in two strata: a lower layer of short grass and a sparser upper layer of tall grass. This combination of features provides the birds with adequate foraging sites, nest sites, and concealment from raptors. What seemed like an “ordinary” pasture to me was actually a very special habitat. Unfortunately, due to overgrazing by livestock and the conversion of natural grasslands into croplands and cultivated pastures, little high-quality habitat for Plains-wanderers remains. An aerial survey of more than 7,500 square kilometers of promising terrain revealed that only about 1 percent was in suitable condition for the bird. Not surprisingly, therefore, the Plains-wanderer is considered endangered. Researchers estimate that its global population ranges from fewer than 2,500 individuals during drought years to as many as 8,000 during years of good rainfall. Notwithstanding its current dire situation, there is reason to be cautiously optimistic about the future of the Plains-wanderer. I believe that, like most grassland birds, it can thrive in areas with limited amounts of livestock grazing. The key is to prevent the grasslands from being overgrazed or turned into croplands. Philip, for example, shares the revenue from his bird-guiding business with the landowners on whose property the Plains-wanderers live, thereby giving the farmers a financial stake in the welfare of the bird. And at both the state and federal levels, Australia has a number of programs that pay landowners to manage their property in ways conducive to wildlife conservation; these could readily be tailored to meet the needs of the Plains-wanderer. In addition, some areas of suitable habitat have been added to Australia’s network of protected areas, although grasslands as a whole remain a notably under-protected ecosystem. Steve C. Taylor. Southeastern Australian temperate lowland native grasslands: protection levels and conservation. Parks 8(3):21-26 (October 1998). As unique as the Plains-wanderer is, it is hardly the only grassland bird in decline. Indeed, around the world, grassland birds are feeling the squeeze from agriculture, overgrazing, and desertification. 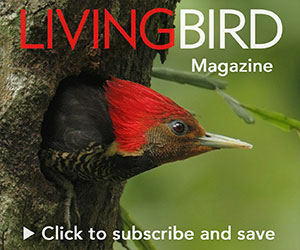 In the United States, for example, the 2009 report released by the Department of the Interior concluded that nearly half of the nation’s grassland-breeding birds are in trouble. Meadowlarks, Bobolinks, Short-eared Owls, and Northern Bobwhites have experienced population declines of 38 to 77 percent since 1968. The Northern Aplomado Falcon, Florida Grasshopper Sparrow, and Attwater’s Greater Prairie- Chicken are on the federal endangered species list; the Mountain Plover belongs there as well. As prices for crops have climbed (driven in part by ill-conceived federal mandates and subsidies for corn-based ethanol), farmers have been converting native grasslands into croplands, much to the detriment of grassland birds. Bird watchers won’t be flocking to Iowa or Illinois to catch a glimpse of a meadowlark or a Bobolink anytime soon, but the time to worry about these species is long before they have become rare enough to attract such attention.